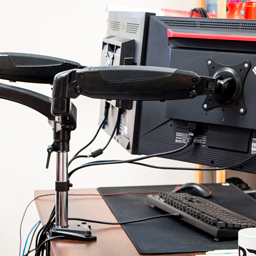 A high-quality monitor arm can completely transform your gaming experience. 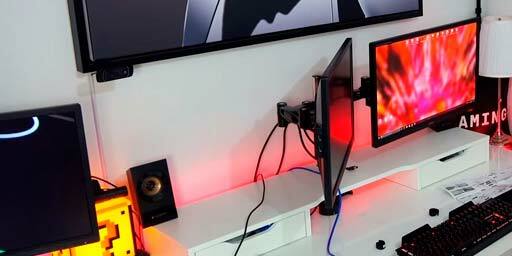 Optimize your gaming setup with a flexible monitor arm that aligns perfectly with your desk space. 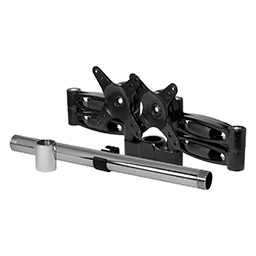 With a monitor mount, you can easily rotate, pan and tilt your monitor(s). This makes it easy to maintain correct posture and avoid tension – even during long sessions. 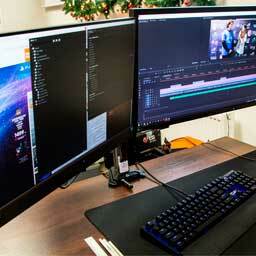 How many monitors do you want to mount? LCD size larger than 27"
We're sorry, currently there are no products matching your selection. No extensions available for the selected products. 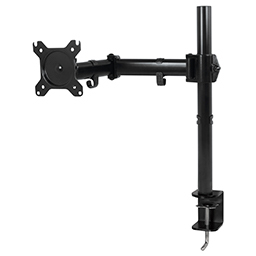 A monitor mount is a bracket used to attach one or more monitors to a wall or table. The robust mounts, usually made of steel, are characterized by both their adaptability and stability and are very easy to handle. 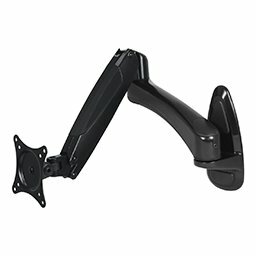 With a monitor mount, screen orientation is flexible and can be quickly adjusted to ensure ergonomic comfort as well as an optimal view of the screen. 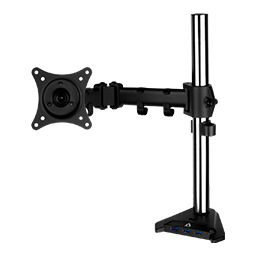 Monitor mounts are maximally mobile: they can be turned, tilted and lowered. 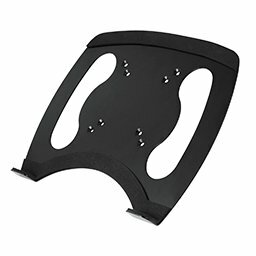 Why do I need a monitor mount? 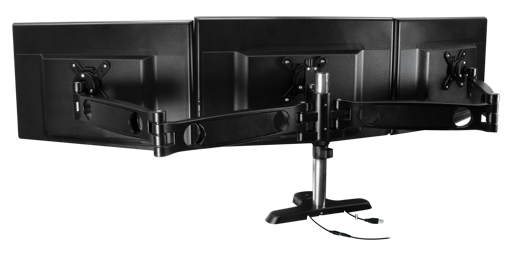 A monitor arm frees up space on your desk. 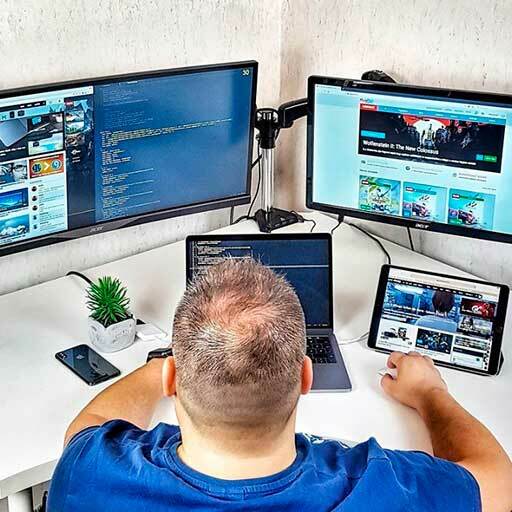 Your screen(s) can be optimally positioned and customized to meet your eye level, which means you avoid neck and back pains while simultaneously improving your posture. 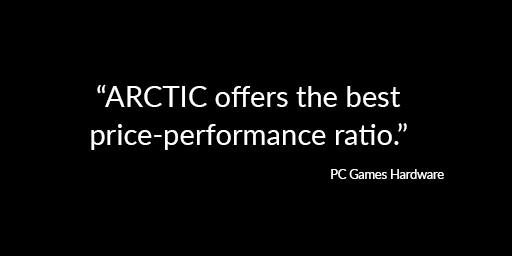 This contributes to a better, more comfortable gaming experience, especially when using multiple monitors. 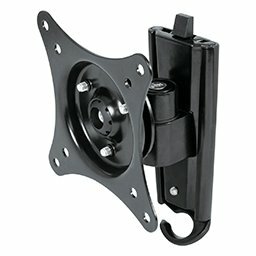 What Advantages does a monitor mount offer? 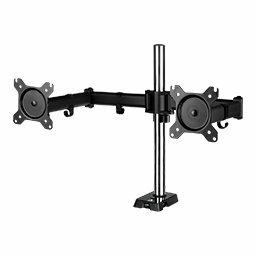 Our functional monitor mounts offer several decisive advantages, starting with the quality: they are extremely stable and durable. The mounting system is simple, and the integrated cable management contributes to an orderly workspace. 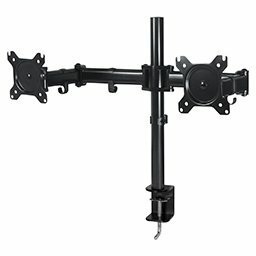 Our extensive product range offers suitable solutions for for attaching up to three monitors to one monitor arm. 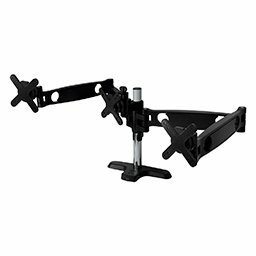 In addition, we offer expansion kits for attaching one to two additional screens and a laptop holder. 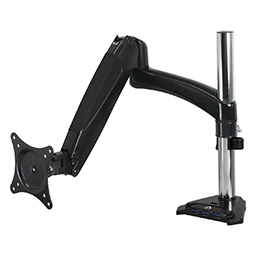 With the exception of the Z Basic Series, our monitor arms have four easy-to-access USB ports. 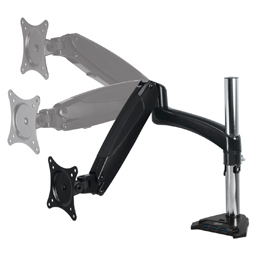 ARCTIC monitor arms combine flexibility, ergonomics and functionality with an attractive price-to-performance ratio. Our in-house support service helps with your questions and guarantees immediate and fast RMA processing. 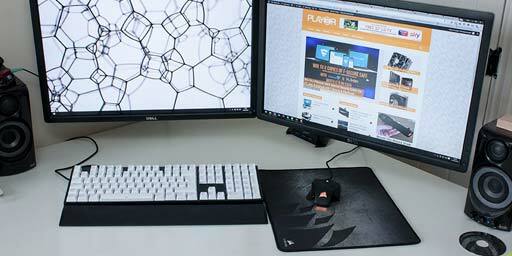 How many monitors can I use with a monitor mount? 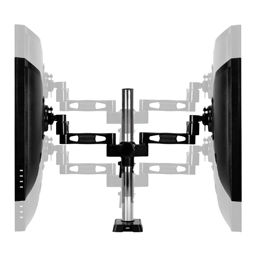 Our models are suitable for mounting one to three monitors. 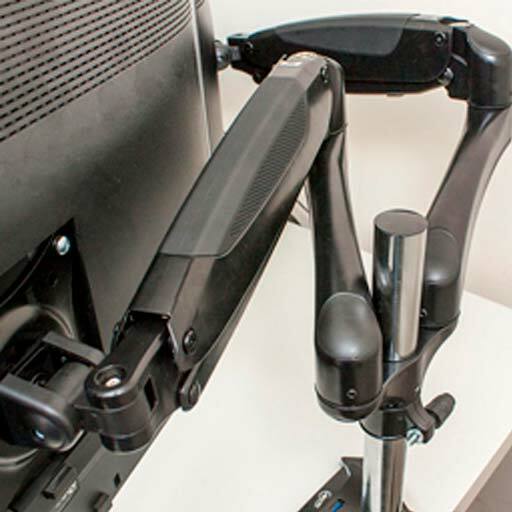 Using the appropriate extensions from the Pro series, up to two additional screens or even a laptop can be attached to the monitor arm. Monitors can be used both in landscape and portrait format. 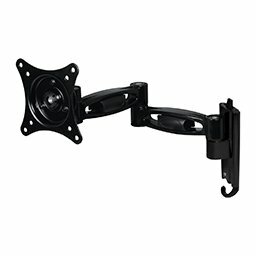 How do I install a monitor mount? 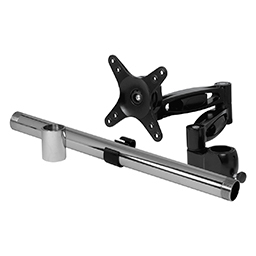 The robust base of the monitor arm can be quickly and easily attached to a table edge or in a table hole using the adjustable clamp. 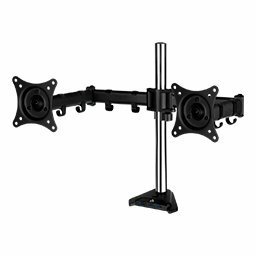 Once the base is secure, all that´s left ist o screw the VESA mount onto the screen and in a few simple steps the monitor arm is mounted. 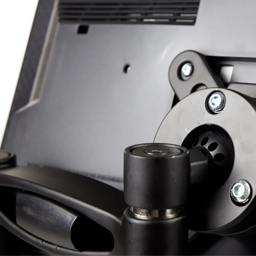 Our monitor arms have a mounting knob that allows you to customize the pivot function by tightening and loosening in seconds according to your needs. It is not necessary to unscrew the monitor for this purpose. 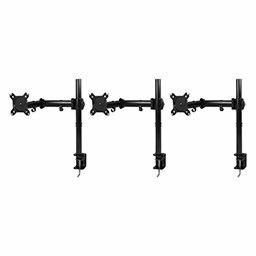 Our monitor wall brackets have a two-part quick-release system for easy and secure attachment. 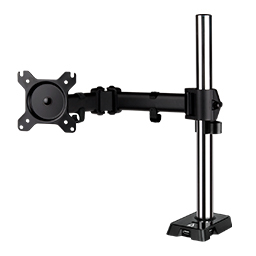 We have prepared video tutorials on how to install your monitor arm in order to assist you. 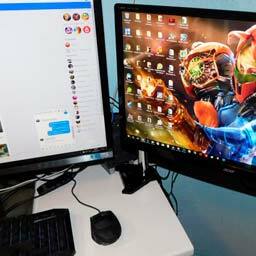 What is the maximum size and weight allowance for my monitor mount? The screen should have a minimum size of 13"and may, depending on the model, be up to 43" in width. 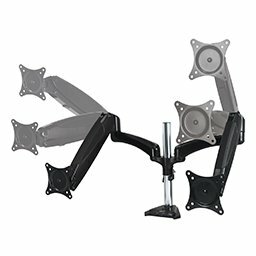 Our monitor arms are designed for different weights, and some models can support up to 15 kg per monitor. 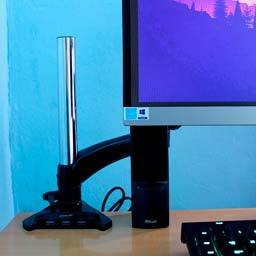 When choosing the appropriate monitor arm, please consider the hole spacing, which is specified by the VESA standard.